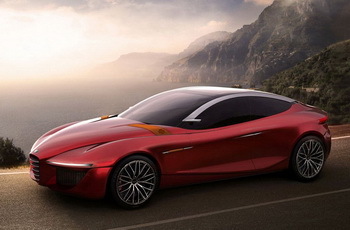 At the 83rd Geneva Motor Show next month, the European Design Institute (IED) of Turin will be back to present a new concept, ‘Gloria’, created by the Master in Transportation Design course students in collaboration with the Alfa Romeo Style Centre. The prototype aims to represent the sports spirit and Italian style of a brand with powerful international appeal, whose products have brought the beauty of Italian design into the wider world. It was 1966 when the Spider Duetto in the film The Graduate reinforced the mythical image of the car manufacturer in the United States. Today, the ‘Gloria’ concept is intended as another international challenge, again looking overseas, to the American and Asian markets.